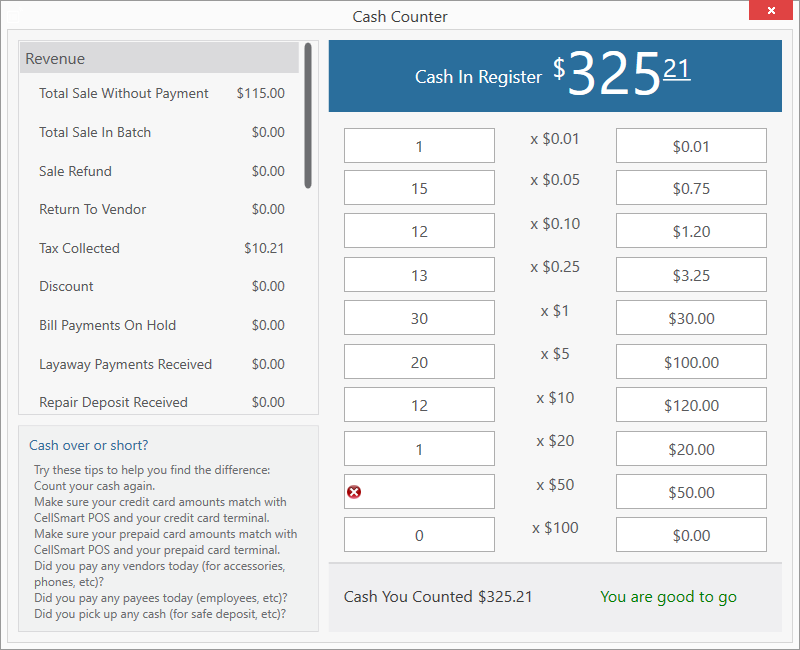 The Cash Count feature allows you count the cash you have in your register in a convenient manner. It is recommended that you cash count at least once before your batch ends. This will allow you to keep track of the cash that you entered in the software with the actual dollar amounts you have in your cash register. Good to go! : When you see this message, it means that the amount of cash you have in your register matches the amount that was calculated in the software.